They're made entirely out of 2 pieces of bread and a few slices of cheese. I have minnie and mickey head cookie cutters, so that part was super easy - although their heads are just one big circle with two little ear circles, so it's not like it's horrifically difficult to cut freehand, right? 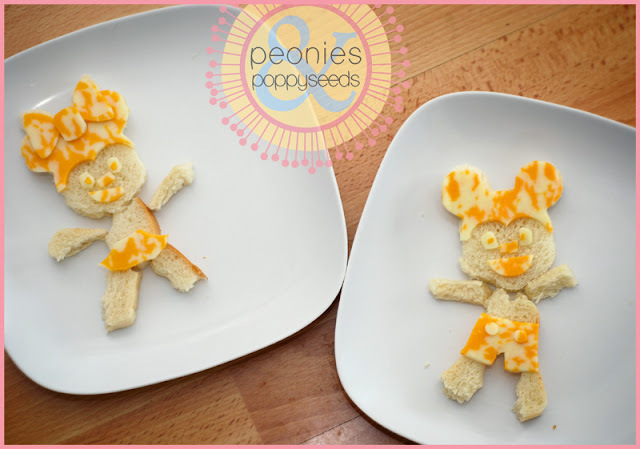 The bread for the rest of their bodies was made out of the scraps after I cut the heads out. 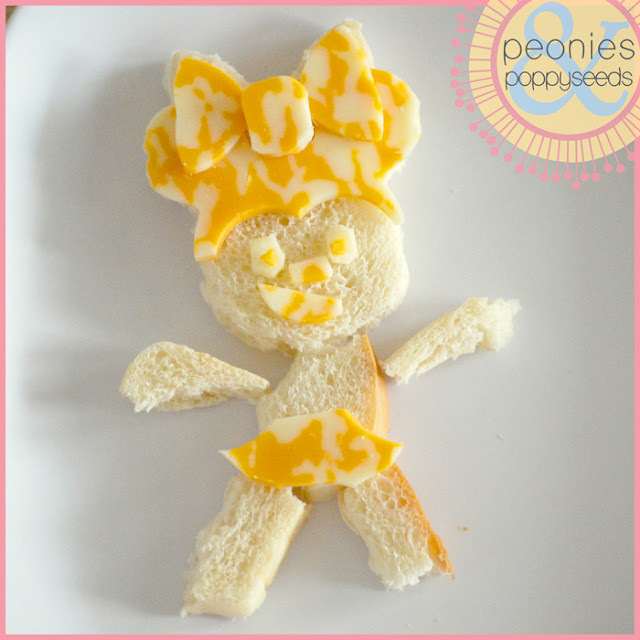 You can cut and place the cheese however you'd like. 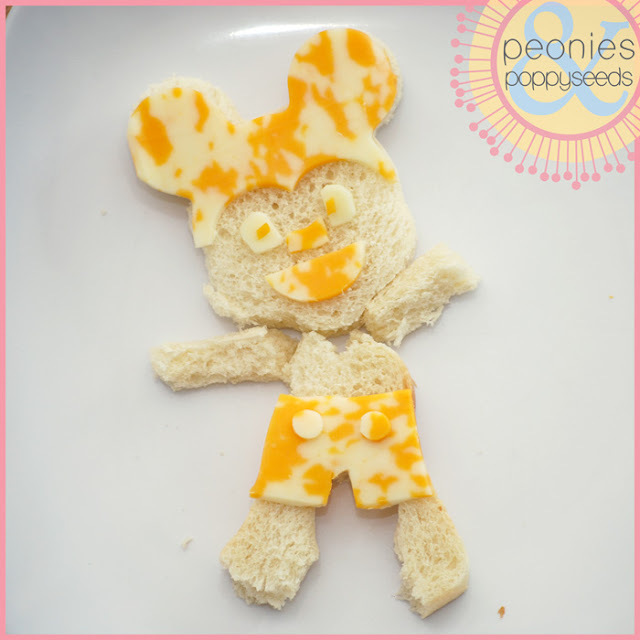 I decided on a skirt and shorts for them, but even if you just made the ear/head part out of cheese your kid is going to know what it is and be excited. And have I mentioned that these are ONLY BREAD AND CHEESE? Seriously, easiest fun lunch ever.